What is creepier then a spider at Halloween? Or really any time of the year? 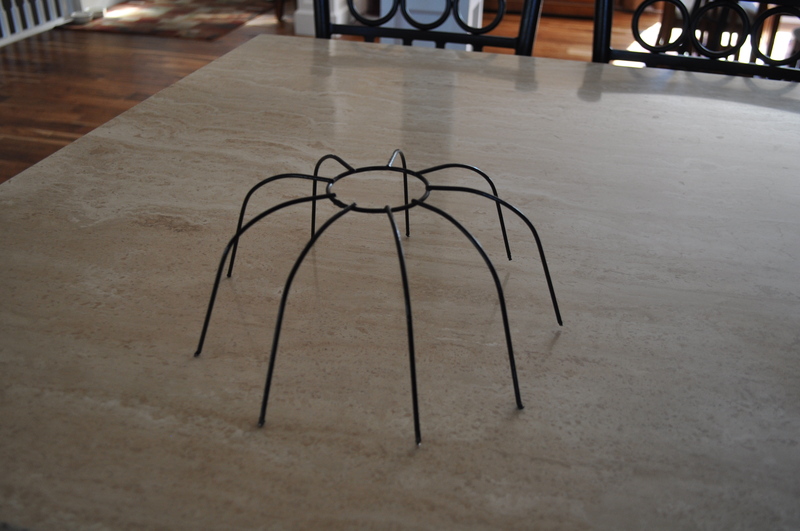 This is a spider using left over parts from an old project. Remember my post on how to hang tissue poms? I had part of my basket left and I knew I would find something to use it for. I never get rid of leftover parts – which drives Farm Boy crazy! This is so easy – I had to post it. 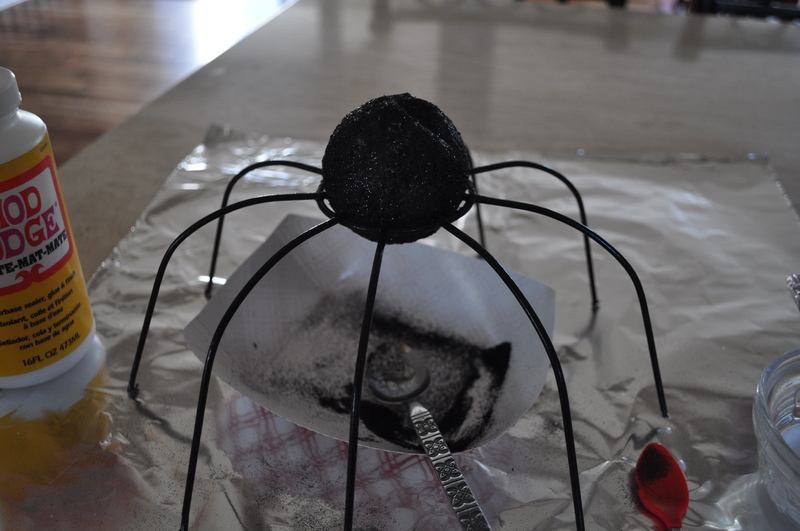 All you need is your left over basket part/bottom, Styrofoam ball, mod podge, black glitter and some eyes. 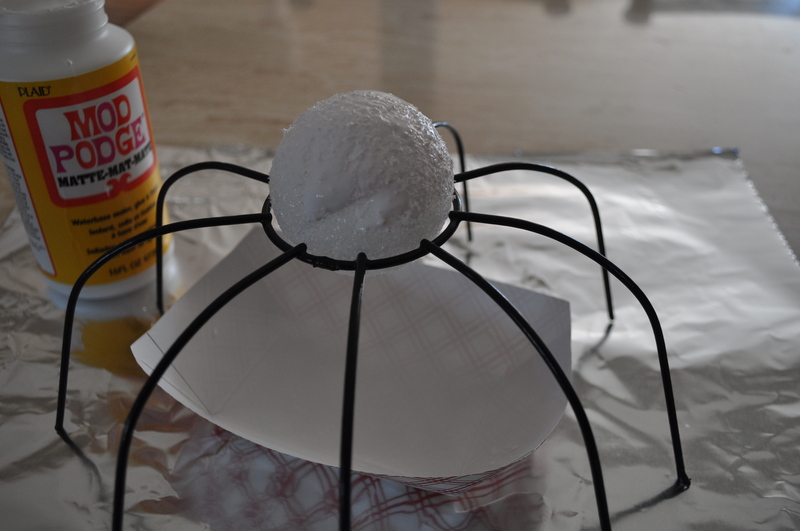 I found the right size styrofoam ball and did the whole project right on the legs. I started by brushing the mod podge all over the ball. And then sprinkling the black glitter all over. Once it was dry, I glued on some eyes. Super easy and I love the long black legs. I did not glue the ball to the legs. This way he can be moved to look at anyone! Spooky. 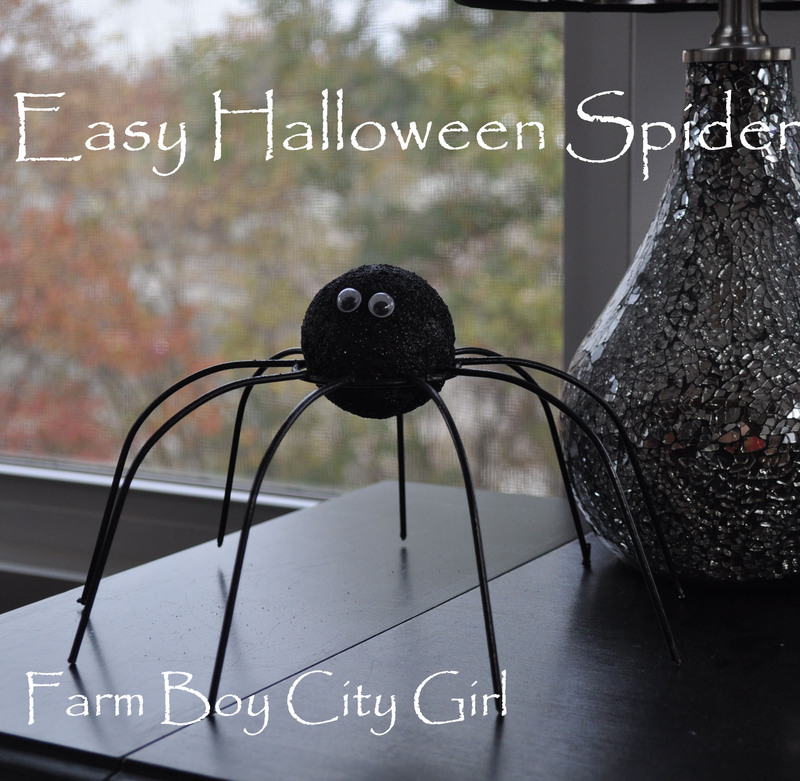 This entry was posted in Crafts, DIY, Holiday Ideas, Mod Podge and tagged decoupage halloween spider, easy spider, glitter spider, Halloween, halloween decorations, Halloween spider, Spider, spooky spider, Styrofoam. Bookmark the permalink.